Travel Inspiration: The best television shows, books, games and apps. So, you’re sitting at home, and getting itchy travel feet – you know the feeling. A sudden urge to start looking through flight comparison websites. Longing looks at the Lonely Planets in your local bookshop. Fondling backpacks in your local outdoors store, and getting suspicious looks from the staff. But you can’t decide where to go, and you need that little spark of inspiration. Or perhaps you can’t travel at the moment, whether due to health issues or low funds, and you want to live vicariously and see the world without leaving your living room. Is it possible, without splashing out on an expensive virtual reality system? Celebrate, my travel-loving friend, because I’ve got you covered! Sometimes getting travel inspiration is very easy – sometimes, all it can take is one pretty photo on Instagram (damn you, pictures of Cinque Terre!). But sometimes, you want to look a bit deeper at a place. Or maybe see, or read about, some places that you hadn’t even considered. Or perhaps you just need that thing that’s going to push you back into travel, that image in your mind or that idea that sets a fire in your imagination. The good news is that you don’t need to go to the library and pore through every travel book you can get your hands on, or order half a dozen brochures. Those things are great, but do them later once you have a shortlist of destinations: to get that first, initial strike of inspiration, relax in your own home and treat yourself. Not to Netflix and a sharebag of chocolates, but to some entertaining travel via your television, bookshelf, computer or mobile phone. And yes, you can still have that sharebag. As long as you’re sharing it with me, anyway. All of the shows, books, and games I’ve listed below are ones that I’ve personally purchased and enjoyed, and trust me, they’ve given me plenty of inspiration and ideas. In fact, I’ve now visited the Sorrento/Capri area of Italy four times, and it was all sparked off by a travel book – no photos or images, but pure travel writing. And television shows are great for inspiration; you’re seeing a place, living the trip, wishing you could see it with your own eyes. And if you can’t afford a trip right now, video games can be an excellent way to give the travel itch a temporary scratch, or in my case, help beat a fear of flying. So here’s my personal top three travel television shows, books, and games! The Monty Python alumni is perhaps Britain’s favourite travel documentarian, having been followed by cameras on his trips around the world between 1988 and 2012. Palin makes for an ideal travel companion: always interesting, and interested in what is happening around him, a gentle sense of humour which occasionally veers into the surreal (what did you expect from an ex-Python? ), and a dedication to making a quality documentary. And as there aren’t many corners of the globe that he’s left uncovered, his shows provide the perfect travel inspiration, with cultured narration and beautiful photography. Starting off with the will-he-manage-it drama of Around The World In 80 Days, he progresses to the long and exotic journeys of Pole To Pole and Full Circle, a trip around the Pacific Rim which saw Palin on the road for an entire year. Hemingway Adventure and Brazil provide mini-documentaries, whilst Sahara and Himalaya explore their respective regions in full detail. New Europe rounds off the set, with a look at Central and Eastern Europe. Running from 1958 to 1994, it would be easy to dismiss these documentaries, made by journalist and television legend Alan Whicker, as outdated. And they’re not strictly based on travel, as Whicker interviews various worldwide personalities, including dictators, celebrities, politicians, locals, and people who are just trying to get some plastic surgery. But their age is what makes them fantastic: although some of the views expressed are seriously outdated, it’s a glorious snapshot of the world at that time, when international travel was really beginning. The show was, for a lot of British people, the first time they’d seen the everyday life (or in some cases, the very unusual life) of people in other countries, and it sparked a desire for worldwide journeying. See the world as it was back then, and enjoy Alan Whicker’s dry wit and subtly snarky questioning of his interviewees. Back in 2006, I visited my American friend in Nebraska, and whilst I sat at her dining table suffering from a serious case of jetlag, she told me about an American television show which featured 12 teams of 2 people racing around the world, doing tasks and generally making a whole heap of mistakes in order to win a million dollars. At first this sounded like something my poor, confuddled brain had imagined – surely making such a show would cost a fortune! And they still had enough left over to award the winners a million dollars?? – but I got home and discovered that, yes, it was true! And I’ve been hooked on it ever since. Yes, some of the contestants are deeply annoying. Yes, some of them behave pretty badly abroad (to be punished with a highly-disapproving eyebrow arch from host Phil Keoghan). But it’s also a fantastic way to get travel inspiration: there’s few countries that the race hasn’t visited at some point over the seasons, and the production team do an amazing job of scouting some gorgeous locations, often off the beaten path. Plus if you’ve ever wanted to see people tumbling down a hill chasing some cheese, or getting hit in the face with a watermelon which has just rebounded from a catapult, you’re in luck. Iowa native Bryson is my ultimate travel writing hero. Notes From A Small Island, his first tour around Great Britain, was the kind of book that you couldn’t read in public, lest you have a laughing fit (in 2003, it was named the book which “best sums up British identity and the state of the nation” after a poll of the public). I eagerly consumed previous works Neither Here Nor There: Travel in Europe, and The Lost Continent: Travels in Small-Town America and found them just as insightful, colourful, and above all, bitingly witty. Bryson has a talent for storytelling, explaining the history and culture of a place very simply and in an entertaining manner, and slagging a place off without causing offence. He slated my hometown, and I still loved him for it; that’s skill! Following titles A Walk In The Woods, Down Under (renamed In A Sunburned Country for the U.S.), and The Road to Little Dribbling: More Notes From A Small Island do not dip in quality, and sit in pride of place on my travel bookshelf. I have many things to be grateful to the wonderful Lauren for, but this is where I first read her story, when I picked up her book on a whim on Kindle. The book is a brilliant read, which I quite literally couldn’t put down, and tells the story of how she became a backpacker and the various misadventures which happened along the way. Tsunami? Check! Awkward (to say the least) massage in Thailand? Check! Punching a Chinese scammer? Check! 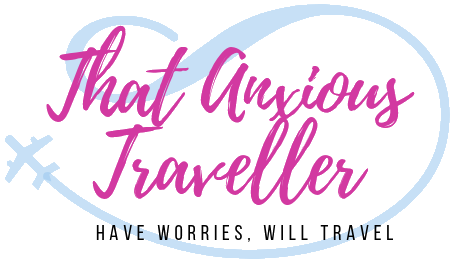 But aside from being a book which was wonderfully written and made me cry with laughter, this really was one that changed my life – as a fellow anxiety sufferer, I noticed so many points in Lauren’s story about early travel fears and anxiety which I really empathised with, and could’ve been taken from my own experiences. It was comforting to know that I’m not the only one who has experienced those fears. This was the book that made me really want to push myself out of my comfort zone, and made me realise that if someone else in a similar situation could do it, then so could I. And it’s the book that’s launched me on my current journey, and I think, made me a more confident and less anxious person. I very strongly recommend it! Yes, Michael Palin again! If you enjoyed his television documentaries, or if they sound intriguing but you’re really more of a reading kind of person, I heartily recommend reading his books. Titled with the same names as his shows (see the Television section above), they are the published diaries he kept during his travels. As well as a few behind-the-scenes tidbits, they’re well worth reading purely for Palin’s more in-depth exploration of the things he sees and the people he meets, and a wonderfully thoughtful narrative style. You really get a better sense of long-term travel, and the logistics of taking himself, his loyal Passpartout crew, and the amount of equipment required to film a BBC series, literally around the globe. A fascinating look into the world, as well as the heart and mind of Michael Palin, who comes across as the cool travelling uncle you never had. I always feel that video games are something of a neglected art – they’re too easily stereotyped as Call of Duty, “kill everything in sight” type shooters, but the reality is that CoD and the like are just one subgenre. Some of the best plots I’ve ever experienced have come not from movies, but from video games. Some of the most tender, peaceful, and most relaxing arts that I’ve experienced have not come from books, but from the humble game or app. Plus I’m a massive nerd, and I just love video games. So let’s have a look at the ones that let you live out your travel fantasies, and maybe give you some ideas at the same time! Ever fancied a road trip across Europe, or the South West of America? Lack the funds to do it, or in my case, the driving license? Fret no more; ETS2 and ATS give you the opportunity to do just that, hauling a cargo which could be anything from sulphuric acid to fishfingers at the same time. Whilst a truck simulator might sound painfully dull on the surface, any doubts you might have melt away as soon as you play it (I can personally attest to this – my non-gamer brother gave it a try, and was immediately hooked), and with 4.5 million copies of ETS2 sold, it’s obviously doing something right. Maps are vast and realistic, covering most of the major cities, and it’s ridiculously relaxing just to kick back, tune into the radio, and drive from Sicily to Stockholm, or Phoenix to Los Angeles. The fact that you can grow a trucking empire becomes largely irrelevant: for the travel fan, it’s a great way of preparing for your next big road trip. Available for PC via Steam. 80 Days started out as a humble IoS app; the fact that it’s now available on PC gaming platform Steam attests to its popularity. And for good reason: the game, which puts the player into the role of Jean Passpartout in a slightly steampunk-inspired version of Jules Verne’s Around the World in 80 Days, is fabulously well-written. If you ever had one of those Choose Your Own Adventure books when you were a kid, then you’ll be familiar with the format, and Meg Jayanth’s atmospheric writing really gives you a flavour of the various locations you’ll find yourself in. Hop on the Orient Express, solve crimes on the Pacific Ocean, travel to the centre of the earth, the North Pole, or the Moon, and attempt to get back to London within 80 days, whilst keeping Phileas Fogg moderately happy. Oh, and did I mention that the app doesn’t require any internet connection? So you can play it in airplane mode, and travel around the world whilst simultaneously travelling around the world! It’s sophisticated interactive storytelling. Available for IoS, Android, and PC via Steam. Previously holding the slightly snappier title of Ready For Takeoff!, this flight simulator is the game that really helped me with my flight anxiety. A lot simpler to control than most flight simulators (if you want something more advanced, go for Microsoft Flight Simulator X, or X-Plane), the first time I played it, I found myself at the beginning of the runway with an increasing heartbeat and sweaty palms. Yup, even flying in a video game was too terrifying, though it speaks well for the realism of US’s graphics. But after a few unfortunate incidents, I found that the plane wanted to be in the air – the game accurately captured the design of the planes, and the lift upon it once it was in motion. Indeed, if I took my hands off the controller once I was in midair, it pleasingly gained altitude without me even trying. And it made me feel so much better about flying! Flying from London, to Paris, Berlin, Majorca, or Turkey made flying a more familiar experience, and it really helped when I flew to Italy a couple of months later. If I’m being critical, it offers far less variety than other flight sims, but in terms of simplicity and helping to beat a phobia, it has been absolutely invaluable. So there’s my picks! Have you watched/read/played any of the above? I’d love to know if you have; be sure to comment below! This is really old, but when i lived in Japan, there was a program called ainori. It is basically a show where they send a bunch of young Japanese people travelling around the world on a pink bus. If anyone fell in love with another passenger, they had to confess their love, and if they both felt the same, they’d go home together. If not, the person who confessed would go home alone. It’s like a love-drama + travel show all in one. I got sooo many ideas for future travels from that TV show! I have no idea if there is a version on netflix/you tube with subtitles. It was so awkward/awesome! Anyway, after seeing your list above, I had a feeling you might like it too! I love the Assassin’s Creed games! (had way too much fun wandering around Italy in the second one!) I haven’t played either the London or Egypt ones yet, but I’m curious to see how they’ve done London in particular! The Amazing Race is absolutely brilliant for travel inspiration – well as tips on what not to do when travelling! Hope you enjoy them! I’ve done none of these! However, I’m that person who sees a picture, looks it up and falls in love. I will never be done with my bucket list. I’m going to look up the books you suggested. Awesome!! I’m in the mist of compiling my favorite travel movies and your list just went beyond! Haha I love the Amazing Race!! Ohh I’d be really interested in seeing your list when it’s done! The Amazing Race is such good fun to watch! Though I miss the days when they had to do a bit more airport work to get their tickets, lol. Oh I love this so much! The film “the secret life of walter mitty” and also the Ross Kemp documentaries give me so much travel inspo ✨ LOVE! Thank you very much! 🙂 And oo, I hadn’t considered those – I’ll have to track down some copies! This is such a good round up! I can’t believe I haven’t read any of the books on your list, need to do a trip to the book store haha! Okay that 80 Days Game App looks really fun and I’m scared if I download it I won’t ever stop playing! I KNOW, it’s hopelessly addicting! I keep playing it when I’m at work, which I’m really not supposed to do… but I need to get around the world! Well, that’s my weekend gone then! I’m a fellow lover of Bill Bryson – in fact I’m re-reading A Walk In The Woods at the moment. Oh to have his observational skills. I know, his observation skills are absolutely second to none. If I ever have a fraction of his talent, I’ll consider myself a most lucky person! I didn’t know many of these and I’m definitely buying something for my kindle! I generally prefer reading or watching something to videogames! I love video games, but I totally get that! Sometimes there’s nothing better than a book – I always stock up on my Kindle before I do any long train journeys! I have to find Lauren Julif’s book. Reminds me of my life, minus the tsunami. I also love the Amazing Race. Always remijds meof my mom. Also love departures, another great travel show of you ever get to watch it. Ohh, I’ve not heard of Departures – I’ll definitely have to look that up! And yes, I really strongly recommend Lauren’s book – it was really the kickstarter for me trying to beat my anxiety, rather than give in to it. This is such an inspiring post! I’ll have to check out some of the travel documentaries. I like expedition unknown for travel inspiration and I haven’t heard of the how not to travel book. Of course, though my favorite part is the games! I can’t wait to play some of them! Heheh, I thought you’d love the video games part! 😉 I’ve just looked up Expedition Unknown; that sounds exactly like my kind of thing – thanks for the tip! I love this post! I’m always looking for stuff like this to help my inspiration when I’m at home, such a helpful guide! Thank you very much! 🙂 I hope it helps you find an awesome trip! I’ve barely heard of any of these! That 80 days app? You had me at choose your own adventure – these all sound so great! I’ll have to check ’em out. I used to LOVE the old Choose Your Own Adventure books! (back in the days when I wanted to be a ninja… ahh, memories…) 80 Days really does follow in the same fashion, and even simple little choices can have consequences down the line. As I found out when I got Fogg killed at the North Pole; oops. This is such a cool post and fabulous ideas here to inspire travel! Thanks for sharing your tips! Such a great idea! Love the idea of using a flight simulator app in order to beat flight anxiety. So smart! Thank you! <3 I was surprised how well it worked; being so much more familiar with the sensations of flying, as well as realising that planes really are designed to be in the air, helped so much! I used to love watching Amazing Race and seeing the contestants go to places I been and learning about new places. I barely watch tv anymore now though. I think the best place to get inspiration is travel blogs. Now I spend most of my free time reading them! Haha, me too! I can’t get enough of travel blogs! This is great! I read heaps of travel books in the hope of getting inspired and also find exploring my own city helps somewhat in feeding the travel bug. 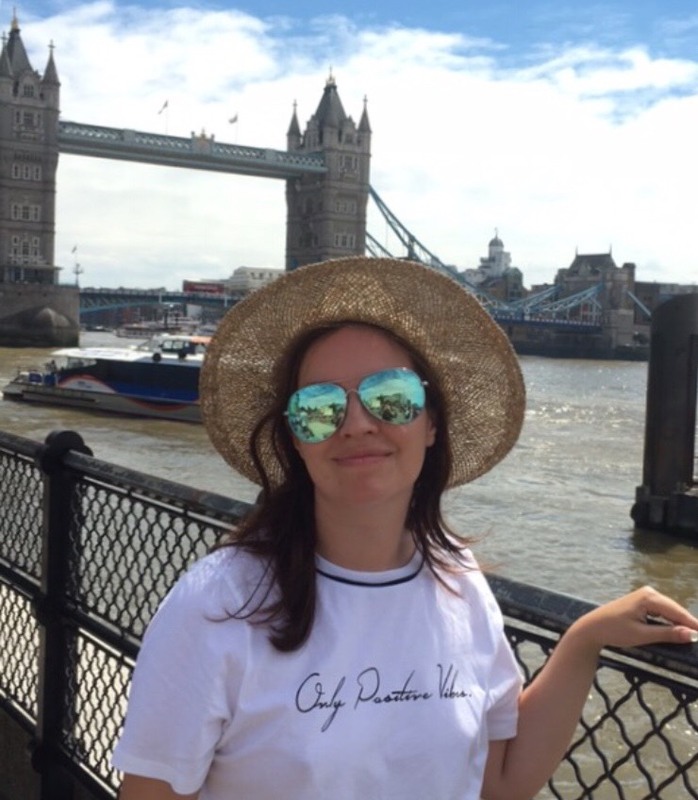 Yes, I think that’s a good method – sometimes seeing a familiar place through the eyes of a visitor really can help to get that travel urge again! What a great list – I never really thought if games as travel inspiration, but I think I”m gonna give 80 Days a try! Thanks for sharing! You’re welcome! 🙂 80 Days really is great fun, and very replayable – brilliant for killing a bit of time on journeys, too!